at First PREMIER® Bank's Secure Site. Hassle Free Easy Application process. Sends account history reports to the major credit reporting agencies. 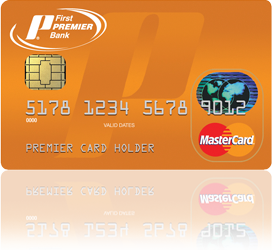 MasterCard® use it anywhere it is accepted. Can request Credit Limit Increase. Have credit cards specifically designed for those who have less than perfect credit.